Session strength sours and their fruit-flavoured siblings have become all the rage in Australia, with venue owners telling us they have customers baying for blood if there's nothing of that ilk on tap these days. 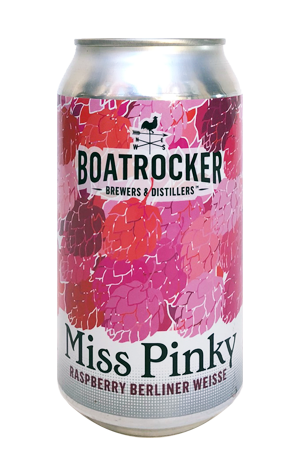 One of the pioneers in this area is Boatrocker's Miss Pinky, the raspberry Berliner weisse that secured national distribution via Dan Murphy's. In spring 2018, the brewery launched its first three cans and Miss Pinky was one of the beers chosen. She retains her big, aromatic bouquet, refreshing tang and prominent berry flavours, supported by a touch of malt sweetness and remains one of the fruit sours against which others can be measured.